Reflections and Ruminations: Only the eyes of faith enable us to see goodness in pain and suffering. Only the eyes of faith enable us to see goodness in pain and suffering. On the feast of St Martha that took place at the end of July, I shared with my congregation at the Eucharistic celebration something that I came across in my own spiritual readings many years ago, but had forgotten about it until I meditated on the feast again. Gems like these should never be kept and left unshared. It was a reflection based on the episode of Martha seeing Jesus only after her brother Lazarus had been dead for two days. Martha’s words to Jesus betrayed her deepest feelings of regret that Jesus had not arrived sooner. She said, “Lazarus would not have died”. Scripture tells us that Martha, Mary and their brother Lazarus were very special and close friends with Jesus. They may even have grown up together. And Jesus loved Lazarus. Many, if not most of us, tend to think that when we have friends of influence, people who are in ‘high places’ and have special connections with people in authority, that these friends can help us in some favourable way. I am sure that anyone reading this blog would have known someone who had stood to gain in some way through being familiar with people in a position of authority where either red tape was shortened or some discount was obtained, or some freebie or special pass had been handed to them. Either that, or you the reader have stood to gain in some way yourself with having such connections in life. These stories are not uncommon. What if Martha’s remarks to Jesus had such a hidden expectation? Since Jesus was the Son of God, and they were such close friends to Jesus, would he not, as they say, ‘cut them some slack’? Surely if he loved Mary, Martha and Lazarus so much, that they could somehow be spared from the pain that death and separation brings! I am often asked this same question by Catholics who are of the opinion that being Christians and being baptized in the faith somehow should then mean that their lives will be spared from experiences of adversity and affliction. But if we look carefully at the whole episode of chapter 11 of John’s gospel, even though Jesus was the close and intimate friend of Mary, Martha and Lazarus, no such exemption or immunity was accorded them. Fr Ronald Rolheiser says that what Jesus gave them was an experience that would be similar to what he himself was to undergo on Calvary. On Calvary, Jesus was given no exemption or immunity from suffering, even though he was the beloved Son of the Father. He allowed his beloved Son to die a most gruesome and shameful death, and wasn’t cut any slack. God the Father was not the fireman who was to rescue the beloved Son from the agony of the Cross. However, this did not take away the fact that Jesus was indeed the Father’s beloved son. Twice in his life before this episode, Jesus was assured from the Father that he was his beloved – at his baptism and at the Transfiguration. Jesus knew that those words were not empty and were said just to impress. God’s word is truth. The event of Calvary, traumatic as it was, did not take away or change this fact that he was cherished and beloved by the Father. On the Cross, he held on to the truth in deep faith. So what he gave to Mary, Martha and Lazarus was the exact same thing that would be given to him on Calvary later on. On hindsight, we know that it was because Jesus went through the Passion with a resolution that was founded on love; his cruel death was vindicated by the resurrection that accorded him the glory of the faith that he clung on to. Knowing this may not sufficiently explain the sufferings that we undergo in our lives, but it certainly gives us reason to undergo unexplained sufferings with a greater willingness. Not only that, it also gives us an inner joy to know that as we embrace the afflictions of life, we are also doing this best when we take our point of reference and pattern it after Jesus himself. Jesus shows us the way and is the example par excellence of how to accept with faith that suffering has a redeeming value that is not visible to the naked eye and the logical mind. The moment we take our eyes off Jesus and look only inwardly at our crosses in life, we easily become bitter, resentful and even rancorous with our lot. We may find ourselves demanding answers that fit our small logical minds with empirical evidence, forgetting that when we have such clear-cut answers and explanations, we are twice as likely to become more bitter, harbour deeper resentment and be filled with acrimony than before. Lately, I have been having greater and greater difficulty in walking without pain in my left hip. Because it never quite abated, I underwent an MRI and it revealed that I have Avascular Necrosis (AVN) at stage FICAT III of the femoral head. I am at great risk of a total hip collapse that the doctors say is imminent. As such, I will have to undergo a procedure called a Core Decompression, after which I will have to rest in bed for a period of roughly 6 weeks. I have been limping around with the support of a cane in the parish for the past few weeks, and I had been asked how I could still be so cheerful and positive despite being in pain. It would be bad form for me to boast in anything unless it is a boast about the incredible and amazing love of God. While I don’t think I am consciously being cheerful and positive, it must be only with the grace of God that I am not bitter, nor filled with anxiety. I guess my inner joy really comes from the fact that I have never taken my eyes off Jesus in his Calvary experience. I am a firm believer that there is meaning in innocent suffering that is beyond one’s ken. I also believe that there is untold suffering of souls in purgatory that can be given relief by offering up of our own pains and mortifications. It is only with the eyes of faith that this is possible. And this doesn’t mean that God doesn’t love me. In fact, it means that he loves me very much to want to give me some share of the experience that he gave to Jesus his beloved Son. As my condition requires me to be resting as much as I can, I may need to take a hiatus from my weekly blogging. If my energy and ability to still write isn’t affected adversely by my physical immobility, I will still try to churn out something helpful next week. Strangely, this post today is also my 400th post since I started blogging weekly 9 years ago, and I am wondering if this is God’s way of telling me I can take a rest, albeit for a while. I pray that you, dear reader, will continue in your own pursuit of holiness and sanctification and that you will never let your faith falter as your make your journey toward heaven’s eternal embrace. I will continue to offer up mortifications for the purification of souls and urge you to do the same. May we do this with great joy, knowing that others stand to benefit from the way we live our lives. St Paul wrote to the Romans that the way we live and the way we die has its influence on others. I am sure that this also applies to the way we bear the pains, sufferings and turmoils of merely being human. Thank you Father Luke for the amazing piece of writing and encouragement. I am sure it would bring reprieve to many readers, myself included. My apologies in advance for my occupational hazard. Whilst reading, it occurred to me that during the period of bedrest after the hip procedure, would you be on medication to prevent clots? Guess, it would be good to discuss with the dr about it. God bless and will be keeping you in prayers. Praying for a smooth operation and full recovery for you, Fr Luke. May God bless you & may Jesus heal you. You are in my prayers. I pray that the glorious Shekinah cloud of God will cover you at 3pm today to heal and make you, Fr Luke whole again ! May His healing hands and love restore you back to health. Praise and glory be to God amen ! Dear Fr Luke, we will keep you in our prayers. May you have a successful procedure and a speedy recovery. Please take care. When you had the leukaemia a few years ago, i had doubt and asked whether you are a bad priest during my prayer. The answer is so clear that you are in fact are loved by the Lord. You have given your heart to serve whole heartedly since young. 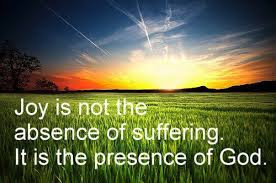 Suffering, indeed is a must if we want to go Heaven. I will keep you in my prayer. May you utilise your 6 weeks have a closer relationship with the Lord because that is the divine silent retreat. Just to share with you only. God bless you Fr Luke. Take good care and rest well. Thanks for sharing your innermost feelings and pain. It really has motivated many. Praise be to God! I was brought to your blog page by a friend. She told me that last time you suffer from leukimia cancer few years ago and since then I have been reading your blog from 2013. Last year I was diagnosed with a heart condition that I had some irregular heart rhythm from time to time, called SVT. Further to that last March, doctor found out I had multiple lumps on my breast. After the operation, the biopsy result said that it was cancerous. I knew I had cancer also during the Holy Week. I have been in ICU twice because of my heart condition, had internal bleeding (hematoma) from the first surgery which doctor need to cut me open again to drain the blood out, face another operation for my heart and the hardest part was I need to undergo mastectomy operation for my breast cancer. I had been writing some reflections and share it to friends, and they told me to write a blog instead. During my recovery now after the last operation, I read your blog, it reminded me of the experience I had gone through this far. As you said it is indeed a 'hidden blessing', it was a tough one yet a remarkable journey. I can relate to some of the reflections and experience we all had gone through. Now I know how it was like to be diagnosed with cancer hahhaa.. Somehow I felt more compassionate to those who struggle with their illness and keep them in my prayer. Ohh my God, how can He entered willingly into His passion for all of us.. Jesus also 100% human being and for sure He also felt the same even much much more greater fear till had blood sweat in garden of Gethsemane. As if He wanted to tell me, yes My child, I’ve been in the same situation too. It was like a reminder for me. I prayed that He overwhelmed me with peace once again and to let me enter this passion willingly as I passed through each operating room door. Every time I looked myself in the mirror, I found all these operation scar on my body will be a reminder to me of how much God's love poured out for me. But upon seeing it also I had mixed feeling, I felt so lost and sad. Thinking about the fact that I really already lost both of my breast, some other parts of my body feel numb, frustrated by movement restrictions and tightness feeling. This seems like the devil trying to make me self pity myself. When I reflected back, my condition was actually far better than expected despite having heart condition and breast cancer. I mean it was not so serious where I had a fatal heart failure and higher stage of cancer. There were so many people now fighting for their own life, battling with their suffering and pain far worse than I needed to bear. My heart condition and cancer were able to be cured by operation. I am already in remission and under monitor for now. This felt as God’s given opportunity for me to experience and prepare me for mission in life, to be His witness. Even though what I had through was indeed the darkest moment of my life but it was also the deepest gratitude moment where I could feel peace and embraced by His love the most. Thank you Fr Luke for sharing in your blog. My prayers are with you, hope you recover well from the Core Decompression procedure for your hips. Thank you Fr Luke for your sharing. Your blog has encouraged me to persevere in life's challenges.